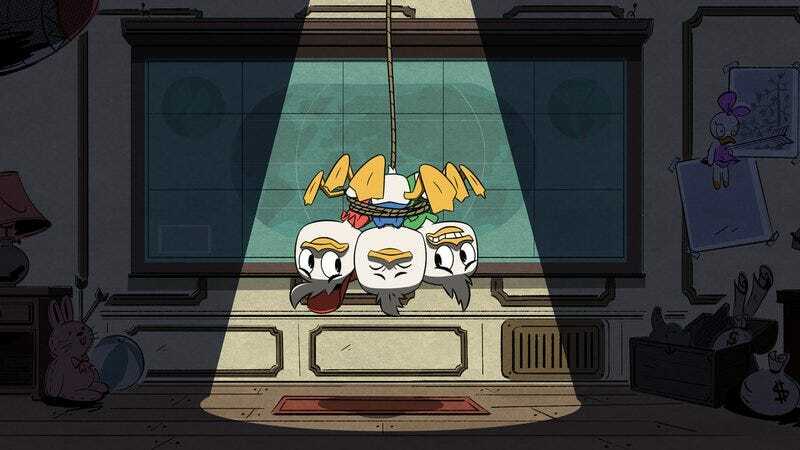 The DuckTales reboot continues to batter away at our carefully guarded reserves of cynicism, via the tried-and-true method of adding lots of people that we like to its vocal cast. The series already had Danny Pudi, Lin-Manuel Miranda, and former Doctor Who star David Tennant on board; now, Entertainment Weekly has posted a new story showing off a bunch of other beloved actors who’ll be populating Duckburg. Depending on your level of rabid West Wing fandom, the biggest new name on the cast is probably Allison Janney, who’ll play Goldie O’Gilt, the Catwoman to Scrooge McDuck’s thrill-seeking adventurer persona. Janney’s casting was apparently a big win for Tennant, who gleefully declared “That’s C.J. Cregg!” when producers played him one of her lines. Meanwhile, Pudi’s old Community co-star, Jim Rash, will play crackpot inventor Gyro Gearloose—who’s apparently been reinvented with a stereotypical hipster aesthetic—while Paul F. Tompkins will play the perpetually lucky Gladstone Gander. And beloved Character Actress Margo Martindale will play canine mob boss Ma Beagle, turning the new Duck Tales into the rare kids’ show that’s both a BoJack Horseman reunion and a furry remake of Justified. The series has also added one holdover from the original DuckTales cast, confirming that Tony Anselmo will appear in a regular role as Donald Duck. Anselmo’s been voicing the character for more than 30 years—taking over from Clarence Nash, the original voice actor, in 1986—and Donald’s strained relationship with Uncle Scrooge will serve as the backbone for the light serialized elements in the show’s first season.